This topic contains 19 replies, has 2 voices, and was last updated by shaun brereton 3 years, 11 months ago. I am configuring a website for a client who has the PRO version of this software. 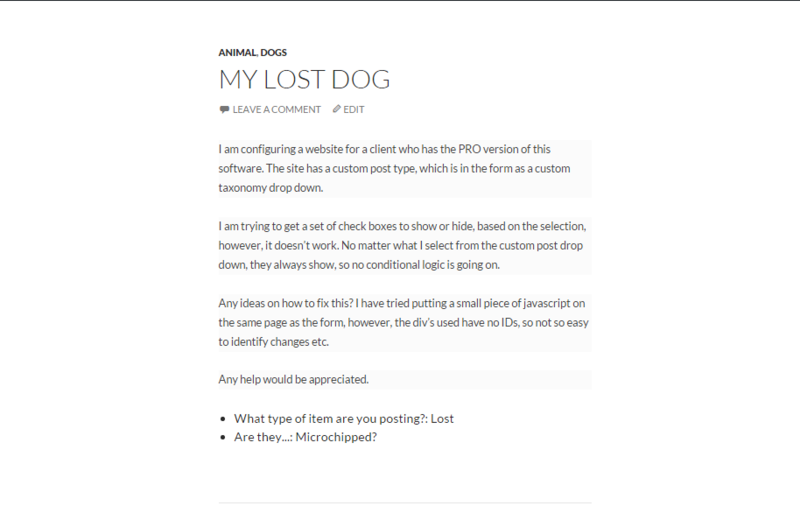 The site has a custom post type, which is in the form as a custom taxonomy drop down. I am trying to get a set of check boxes to show or hide, based on the selection, however, it doesn't work. 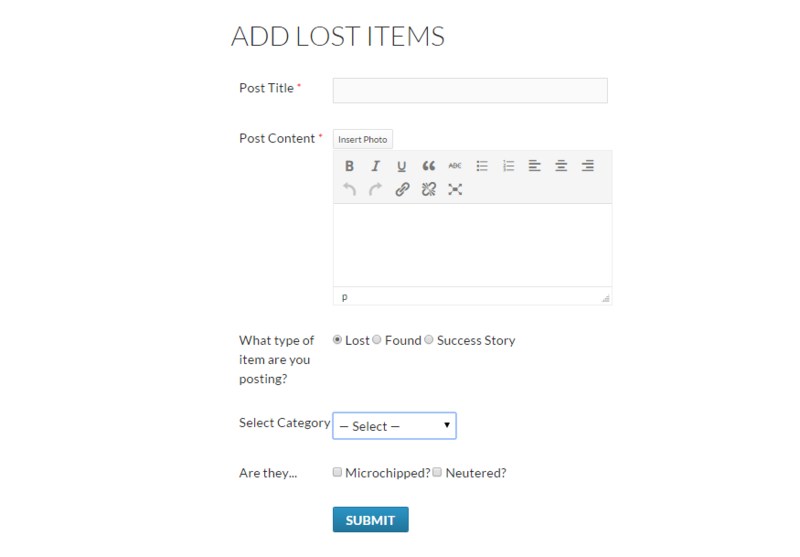 No matter what I select from the custom post drop down, they always show, so no conditional logic is going on. Can you please give me some screenshot. It will help me to diagnosis the actual case. Hi, thank you for your reply, please find the image linked below. As it is set, the checkboxes are always showny, even when the dropdown that the condition is set on hasnt been selected. I also have some radio buttons based on the same logic, and do the same thing. Please send me screenshot again. The screenshot you shared did not properly uploaded. Hi, no problem, please find a link below. Hi, any news on fixing this issue? I have check the settings against your site, and as far as I can tell, everything is configured correctly. Please let me know what the solution is. I have tried it on your test site, and the same thing happens, so it is not working as it should be. I have put a screenshot below. I have tried setting the field required status to yes and no, still no difference. 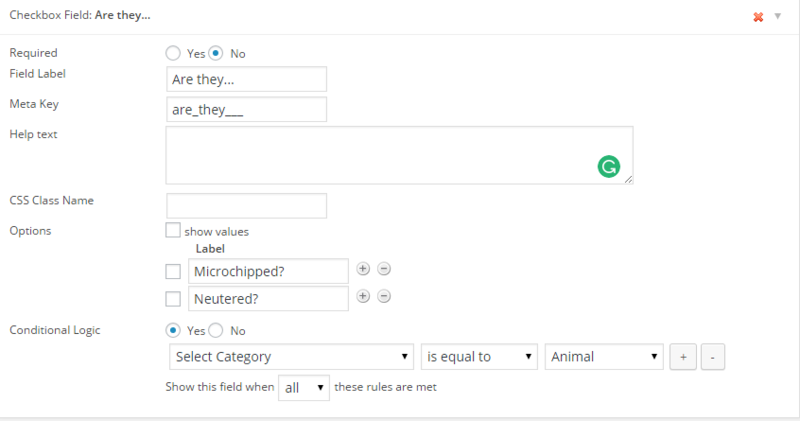 The field shows no matter what is selected from the category drop down. Please advise on a fix for this. thank you, I have just completed the form. I have able to login your site successfully. Please allow me some time. I will come back to you with a right solution. Any luck with this yet? I can see that the issue is still there? We are just waiting for this issue with your plugin to be fixed for us to launch the site, so any progress updates would be appreciated. Can you please send me the Listbox Items code. I like to check in my trail server. I do not want to put the code for the listbox items in a public forum, have you got an email I can send it to? I am really sorry to say that I am still on difficulty to understand the actual problem. 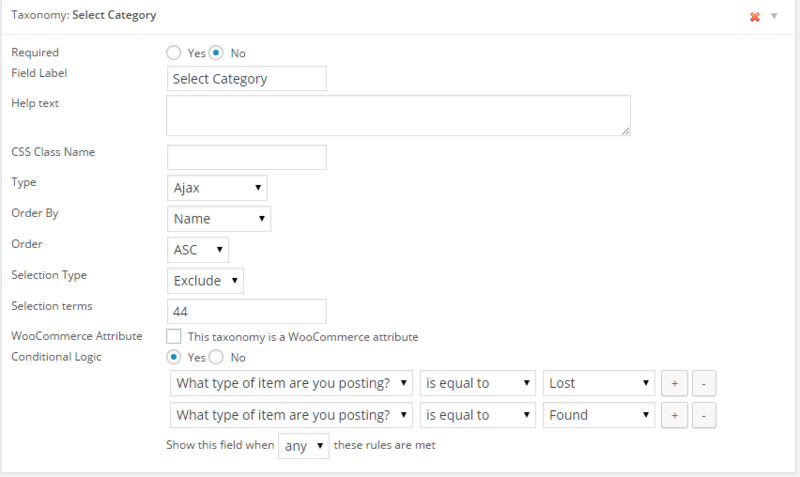 Are you not able to select any category based on conditional logic? Here are my form and its result. Please help me to find out a way for you with instructions.